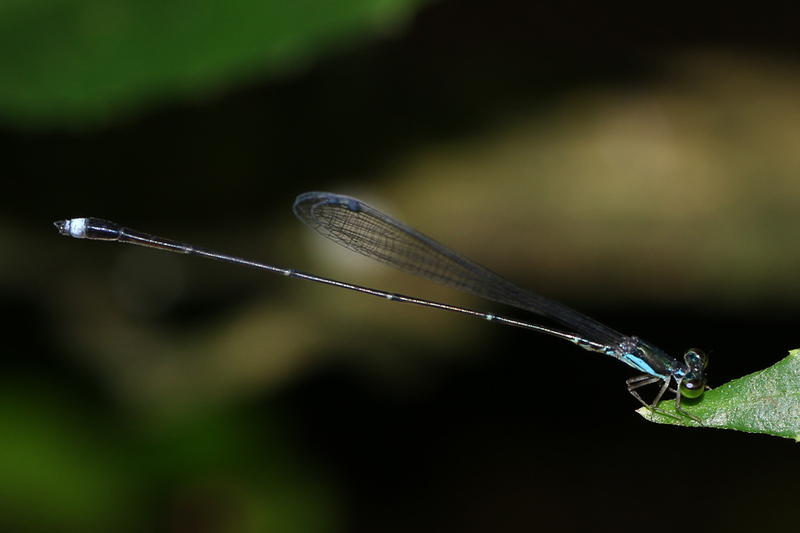 We are delighted to announce that a new Damselfly species for science of the Forcepsioneura genus found at REGUA by Tom Kompier has been named Forcepsioneura regua sp. after the reserve. This is one of two new damselfly species described by Dr. Ângelo Pinto with Tom as co-author in their paper In honor of conservation of the Brazilian Atlantic Forest: description of two new damselflies of the genus Forcepsioneura discovered in private protected areas (Odonata: Coenagrionidae), published in the zoological journal Zoologia. Tom’s contribution to our knowledge of dragonflies and damselflies has been magnificent and provides valuable evidence of the importance of this reserve. He started his research in 2012, making several visits during the varying Neotropical seasons, travelling from the Netherlands to REGUA throughout 2013 and identifying 204 species in this region. Tom was supported by Dr. Ângelo Pinto and Professor Alcimar Carvalho of the Natural History Museum/UFRJ. 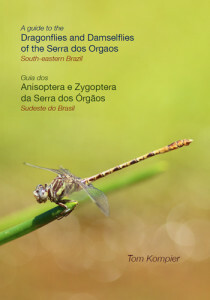 This resulted in the publication of A Guide to the Dragonflies and Damselflies of the Serra dos Orgaos, South-eastern Brazil (see details on our publications page). The principle difference between dragonflies and damselflies is the position of the wings when resting. 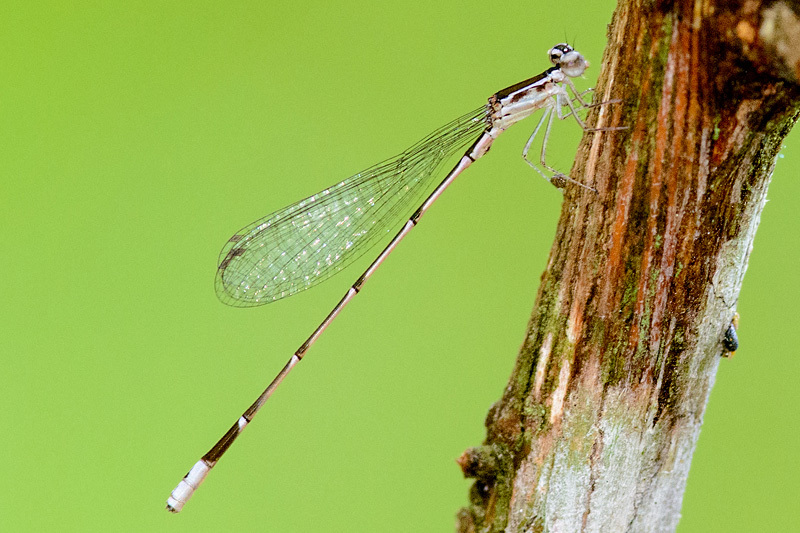 Dragonfly wings lie transversal and damselfly wings lie flat alongside their abdomen. 204 species have been recorded at the reserve and REGUA hosts annual visits to see the odonate and in an eight day visit it is possible to see at least 160 species! Congratulations and thank you Tom for the magnificent contribution your work has given us and you have inspired us to continue to develop studies in ants, butterflies and spiders. A group of dragonfly enthusiasts from the Netherlands, Denmark and Sweden occupied the lodge at REGUA between 5-20 January to look for dragonflies and damselflies with Tom Kompier, the author of our field guide on these winged gems – A Guide to the Dragonflies and Damselflies of the Serra dos Orgaos, South-eastern Brazil. REGUA is one of the world’s best dragonfly hotspots in terms of diversity, and the group was not disappointed. With a total of 166 species seen, the tour even surpassed previous tours. Not only were there second records of Lestes tricolor and Micrathyria spinifera, and good views of the critically endangered Minagrion ribeiroi and its rare cousin Minagrion waltheri, the group also managed photos of two species not previously documented with photos in nature. 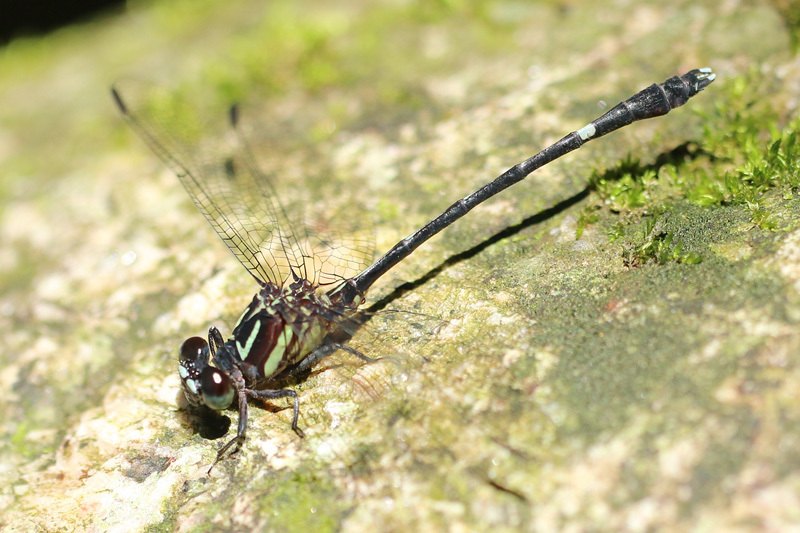 Edonis helena is a rarely seen small dragonfly from northern Argentina only recently known to extend into Brazil. A small population occurs in the area. The second was Macrothemis capitata, rediscovered by Tom several years ago at Salinas, but now found in the The Três Picos State Park at the top of our watershed. Best of all, the group found two species new to the reserve list. The first was an exciting tiny damsel, Nehalennia minuta, found at the old wetland in the reserve. This species occurs widely in South America, but is not often found. And the second was Progomphus virginiae, a beautiful little gomphid found at a forested rocky stream, described from Santa Catharina State. 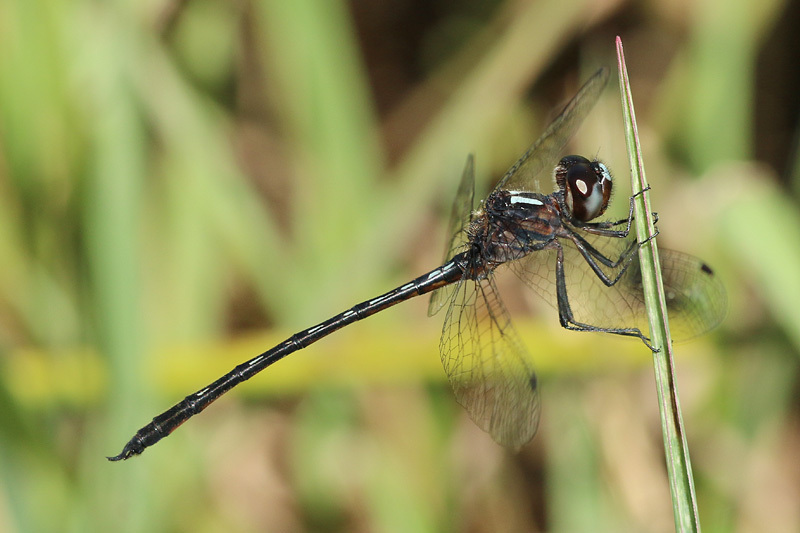 The reserve odonata list now stands at 207 species! 3rd Dragonfly and Damselfly Tour a resounding success! 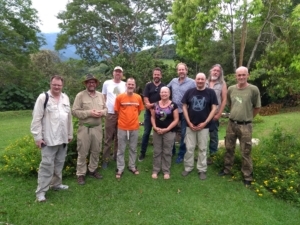 An eminent group of European Dragonfly and Damselfly specialists converged at REGUA this month to see their beloved species under the professional guidance of Tom Kompier from the Netherlands. Tom (dressed in the National garb above) visited regularly over two years under the auspices of Rio de Janeiro National History Museum, and wrote the definitive guide book on Dragonflies and Damselflies of the Serra dos Órgãos region, identifying an amazing 204 species, one of which is new for science and will named after REGUA! This is the third organised dragonfly and damselfly tour at REGUA and the group saw 147 species in their eight days here. The weather in the first two days wasn’t helpful, but the group not only cherished seeing their species but loved their time enjoying the REGUA hospitality. Thank you for coming and sharing your enthusiasm of these quality habitat indicator species! 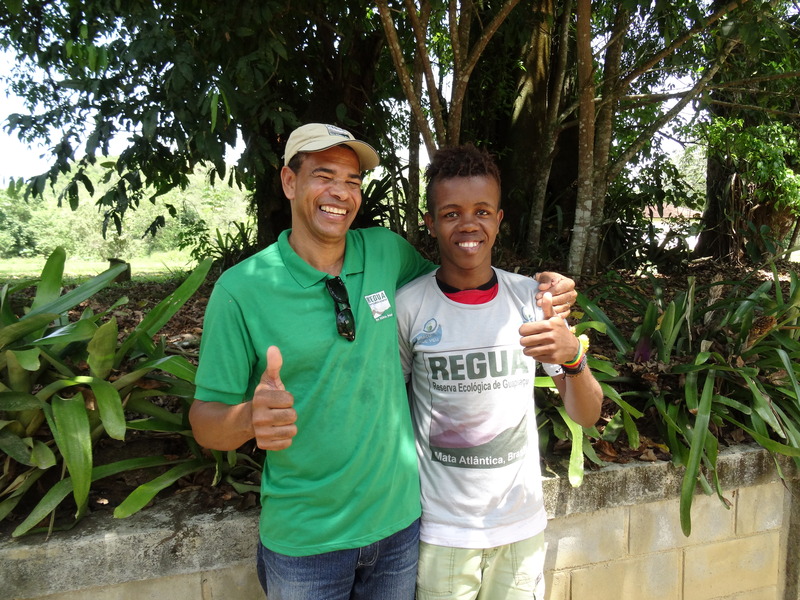 Miguel Ferreira de Conceição is a young lad from the local community of Matumbo who has a passion for nature. He comes from a humble background and is now 21 years old, but since joining the Young Ranger programme seven years ago, he found his desire for the future – wanting to work in tourism. REGUA’s resident teacher Professor Carlos has always been supportive and encouraged him, and a month ago Miguel participated in a test that offered opportunities for a professional “Park visitor guide” course organized by the State Government Institute (INEA). 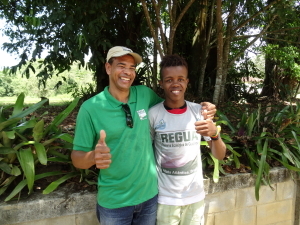 We were all thrilled that of the 50 applicants, Miguel took third place; a testimony to the value and contribution of REGUA’s Young Ranger programme. Miguel has started the course and is rightly proud of his achievements. It is rewarding and very satisfying for us to see direct life-changing benefits that can reach deep into other people lives. Miguel loves dragonflies and as a reward we presented REGUA publication A Guide to the Dragonflies and Damselflies of the Serra dos Orgaos so Miguel can brush up his knowledge of these special creatures and guide future guests wanting to see them. 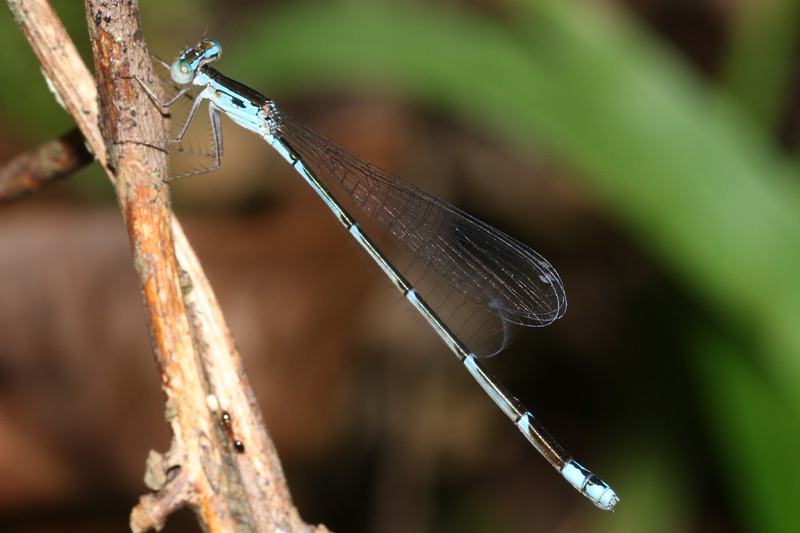 In the recently published field guide on the odonata of REGUA, A Guide to the Dragonflies and Damselflies of the Serra dos Orgaos, the scientific name of the Blue-wedged Dancer is given as Argia claussenii. 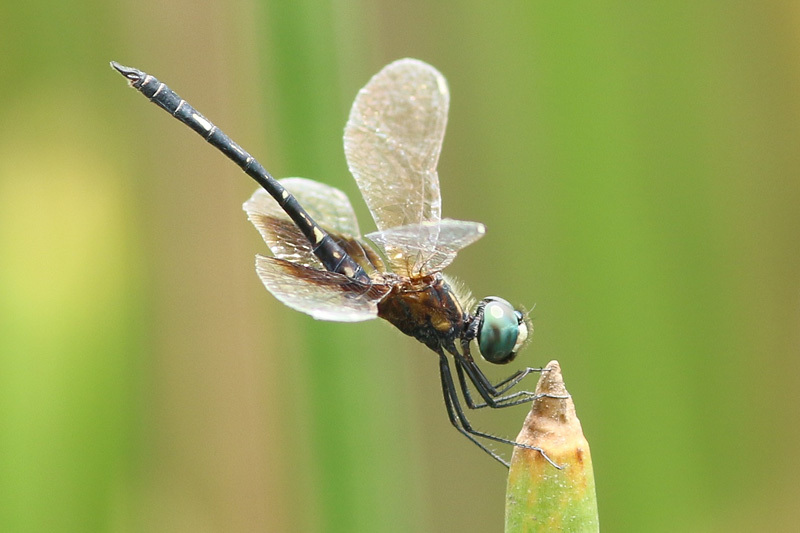 Rosser Garrison pointed out that this in fact is A. croceipennis, therefore we have amended our odonata list. We are indebted to Rosser for sharing drawings and scans of both species with us that support his view. The appendages of these two species are quite similar and there are also considerable similarities in colour pattern. However, under the microscope the difference in the shape of the cerci (placement of ventral tooth) can be clearly seen. In the field there are luckily also a few differences that help identify the species. Argia claussenii has clear wings, whereas those of A. croceipennis are amber colored, and A. claussenii has an occipital bar, whereas A. croceipennis does not. These characteristics are very much in line with the species occurring in fast flowing and rocky streams in the foothills of REGUA. Below are examples of both species, kindly made available by Rosser. Tom’s excellent guide is available in the UK from Alan Martin. Please send a cheque for £30.50 which includes postage and packing, made out to the ‘Brazilian Atlantic Rainforest Trust’ with your name and address to Alan Martin, Alureds Oast, Northiam, East Sussex, TN31 6JJ. Orders from other countries should be sent directly to Tom Kompier at kompierintokyo@yahoo.com. Copies will also be available from the REGUA stand at the British Birdfair on 21st – 23rd August at Rutland. Tom Kompier’s excellent new book A Guide to the Dragonflies and Damselflies of the Serra dos Orgaos is now available in the UK from Alan Martin. This book describes all 204 species known from the REGUA area and is illustrated with 560 photos. Please send a cheque for £30.50 which includes postage and packing, made out to the ‘Brazilian Atlantic Rainforest Trust’ with your name and address to Alan at Alureds Oast, Northiam, East Sussex TN31 6JJ. Orders from other countries should be sent directly to Tom Kompier at kompierintokyo@yahoo.com. 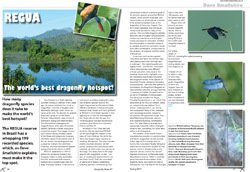 Dragonfly News article: REGUA – the world’s best dragonfly hotspot? With 204 species of dragonfly and damselfy now identified at REGUA, the Reserve is a strong contender for having the highest odonata diversity of any site on Earth. In the spring issue of Dragonfly News, the magazine of the British Dragonfly Society, Dave Smallshire writes about the highlights of a recent dragonfly tour to REGUA that saw the group finding 42 species at the wetland in the first three hours on their first day, and an amazing 166 species during the two week trip, including several rarities! Dragonfly News is available in the UK to British Dragonfly Society members. Details on how to join and get a hold of the article can be found on their website. We are thrilled to be able to announce the imminent publication of our new REGUA publications field guide on the Dragonflies and Damselflies of the Serra dos Orgaos. The book has been written by Tom Kompier and describes all of the 204 known species from REGUA and its surroundings. Illustrated with 560 photos and an additional 125 plates, we think this is a milestone in the study and observation of this stunning group of insects. Publication is due in April. For pre-orders or additional information, please contact Tom Kompier directly at kompierintokyo@yahoo.com.